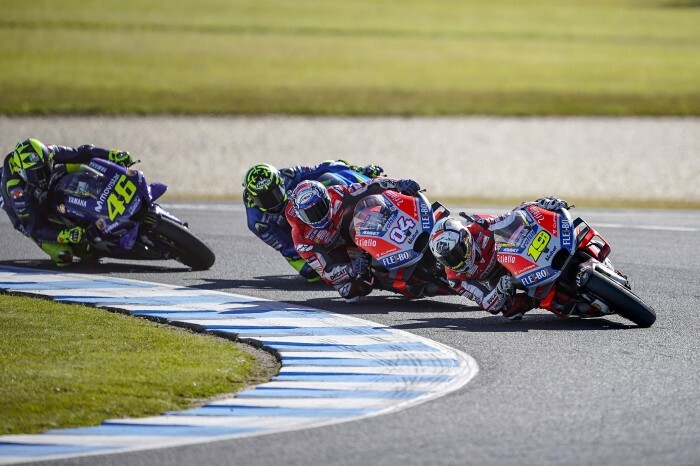 Alvaro Bautista’s confidence in Ducati’s factory racing department got a massive boost when he took Jorge Lorenzo’s GP18 to fourth place in yesterday’s Phillip Island MotoGP. The Spaniard stood in for injured Lorenzo Down Under and was immediately able to fight for the podium on the 2018-spec Desmosedici - and he said it bodes well for the Panigale V4 which, essentially, has the same bottom end as the GP bike. “For me to have a good bike to fight for victories – MotoGP or Superbike – is important. I know that here in MotoGP it was not possible to have a competitive bike for next season,” said Bautista. “So now I’m more happy than before to go to World Superbike because I know the potential of Ducati’s factory. I know that they will make a really good bike to fight for the championship there. Bautista was unable to find a MotoGP seat in 2019 but took up Ducati’s offer of a partnership with Chaz Davies. However, he might well be muttering after getting a taste of the works GP18. “It’s a bit different from the satellite team because in the satellite team you have just a few people working for you,” he said. “But in the factory team you have the same people in the box but behind the box you have eight people more. And they help a lot. In this category the small details make the difference, and those small details are better in the factory team.